Cancer patients at City and Sandwell hospitals fear they could be asked to travel thirty miles to Coventry under potential changes to chemotherapy and radiotherapy services. 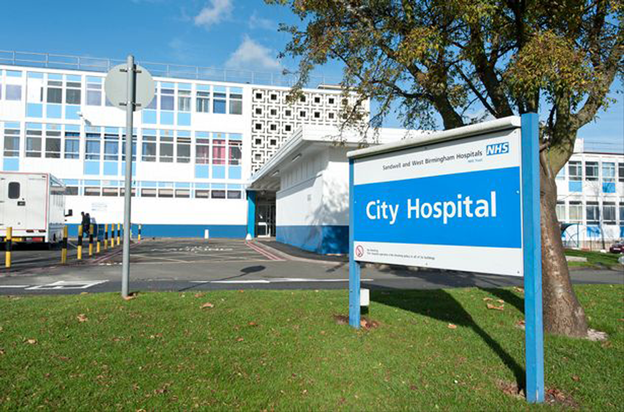 University Hospitals Birmingham Trust (UHB) has pulled the plug on the oncology services at Sandwell and West Birmingham Hospitals Trust (SWBH), after failing to agree a new contract to continue services there. Now patients fear they may be asked to travel as far as Coventry or Wolverhampton for the life-saving treatments instead – the nearest alternative centres. Previously Queen Elizabeth Hospital consultants had provided oncology clinics at City andSandwell Hospitals . Yet discussions about continuing the services have collapsed after concerns over costs and ‘quality of care’. Cancer patients were this week handed leaflets inviting them to patient meetings to discuss changes to their services, which could see them being asked to visit other hospitals. Joan Micha-Jones, a breast-cancer patient at City Hospital for 10 years, was handed a leaflet during an annual appointment on Wednesday. The 72-year-old, from Sutton Coldfield , said: “Some women cannot even travel from Erdington to City Hospital for a mammogram. How are old, vulnerable and ill patients meant to get to Coventry? “It is absolutely appalling, and women just won’t go. “No letter has been sent to patients and if I didn’t happen to have an appointment, then I wouldn’t have known anything about it. It’s covert. Tony Waite, Finance Director at SWBH, said the Trust was looking at finding other sites to provide some chemotherapy and radiotherapy treatments from April 2016. He said: “The vast majority of diagnostic patient pathway chemotherapy will still be provided at SWBH. There are always exceptions to this, where there are rarer tumour sites that require specialist tertiary treatment. “This is currently the case and there are no plans to change this process, as this will also form part of our planning for on-going and future service provision. “Very positive and encouraging discussions are currently on-going with a number of service providers around the future provision of services from April 2016. The patient meetings take place at 2.30pm on November 3 at Sandwell Hospital and at 10am on November 4 at City Hospital. To book a place call Jennifer Donnovan on 0121 507 2618.